These are the cookie of my childhood. They are the only cookie I really remember loving and the ones that got baked and requested the most. Smarties are like the Canadian version (but SO much better!) of M&Ms — candy coated milk chocolate. Of course if you’re American, you can substitute Smarties for M&Ms. Preheat oven to 350ºF. Cream margarine, brown and white sugars until fluffy. Add in vanilla and eggs and beat until very well incorporated. 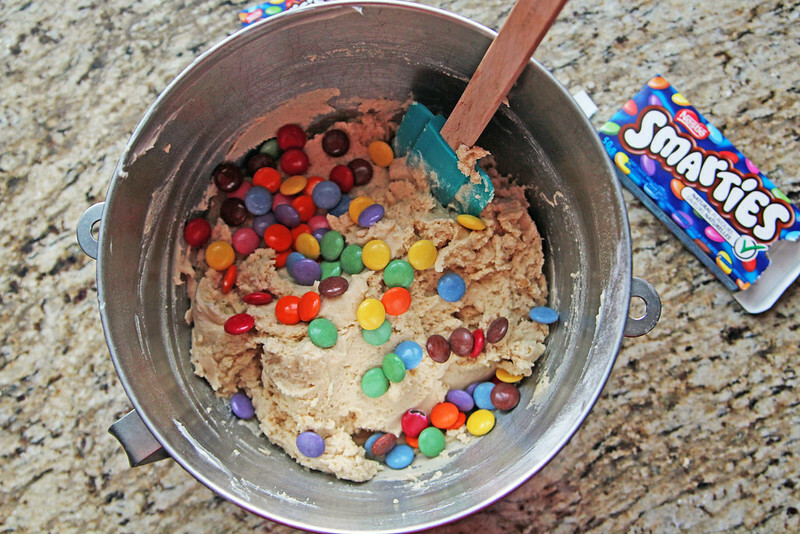 Stir in the baking soda, salt and flour until just combined, and stir in the Smarties lastly. 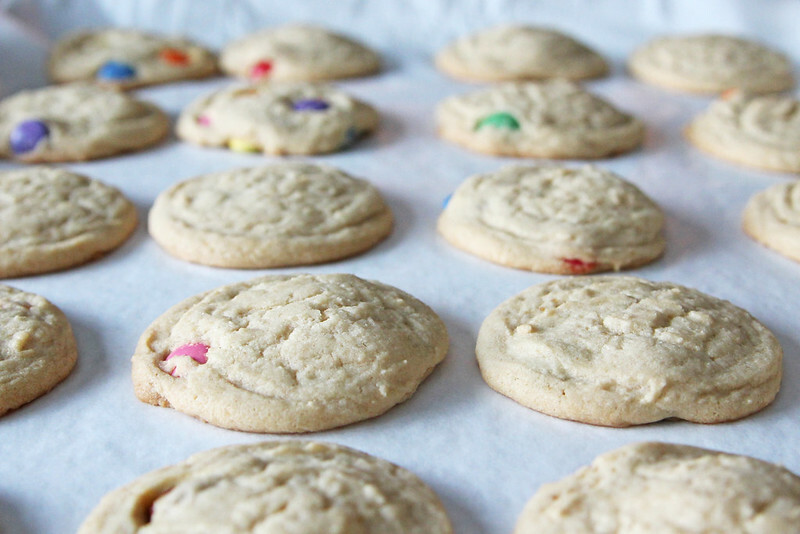 You can do all the above in your stand mixer, except adding the Smarties. They will break if you stir them in with your mixer, do this by hand. 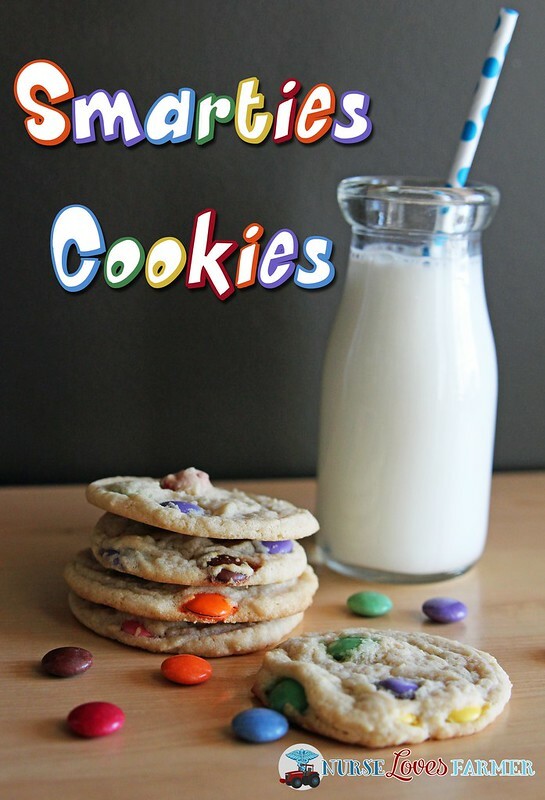 The kids love these, we love these, they are easy to make and by far the most often made cookie in this house. 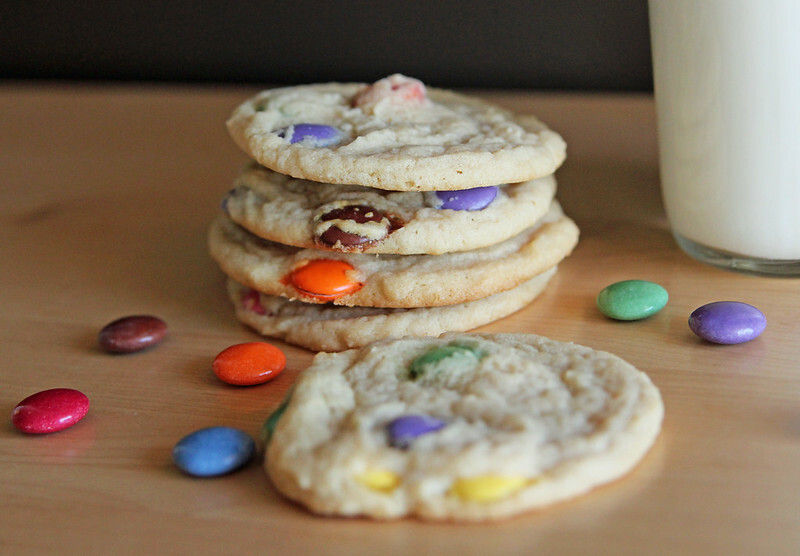 Make sure to use holiday coloured Smarties to make festive cookies. This is the same recipe used for my Christmas Cookies in a Jar!